« Always Give the Option Before the Number! Sometimes you just have to laugh at the Auto-Attendant and On-Hold messages at some companies. I mean, who are they kidding? Is your call really “very important to us”? “Good morning! Thanks for calling us! We’re pleased to hear from you! So we’ve placed you in a queue. Be sure it is correct. Please use your touch type phone. After you hear the tone. If you are a new client here. Press two, if old, press three. To talk to such as you. On, and bye and bye. But wait! It may be there is hope! And may we help somehow? The InterStellar Phone System gives you the opportunity to have music playing while a caller is on hold. Best of all you can insert interruptions during each recording in order to play a message. I was On-Hold with a company last week that interrupted its On-Hold music with this reminder that I was On-Hold every ten seconds! Never do this to your callers. Just because you use an Auto-Attendant doesn’t mean it has to be a poor caller experience. 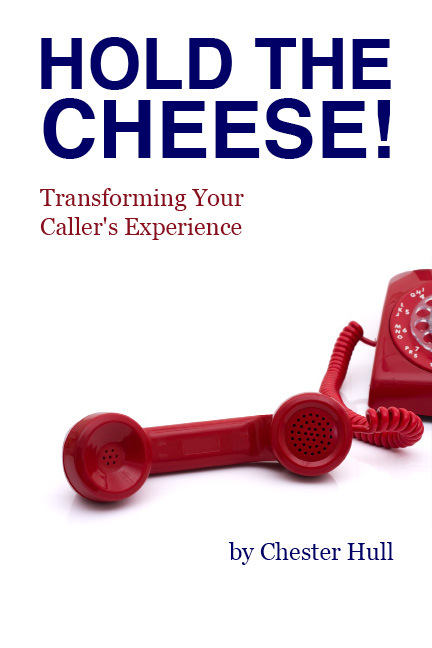 Want to know what your caller’s experience is like? Try a Caller Experience Evaluation service. It’s like climbing inside your customer’s head and hearing your business from his perspective. Very informative! Don’t give your callers the run-around. Giving your callers the run-around? Should you answer that ringing phone? The ringing phone or the waiting customer?